The book comprises three world known works also known as the The ban plays by a great Ancient Greek tragedian Sophocles (B.C. 496-406). 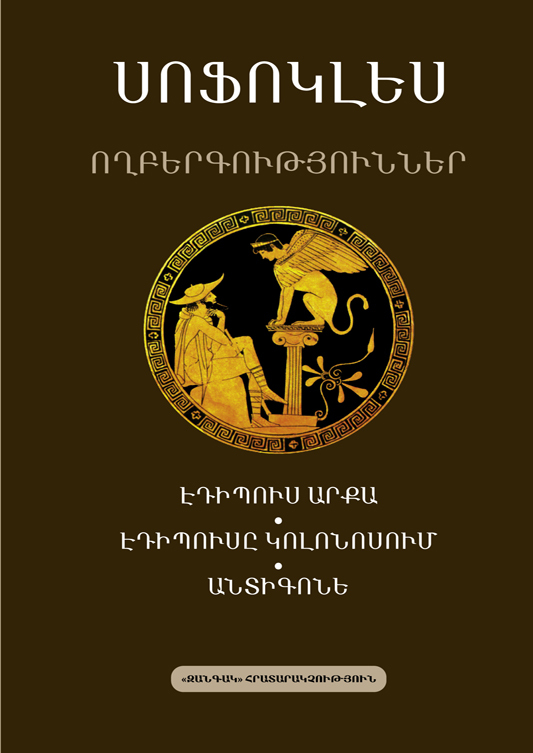 This collection of tragedies includes Oedipus the King (which has served as a source for coining the term Oedipus complex), Oedipus at Colonus (Sophocles’ last work) and Antigone (all three works are new translations supplemented with detailed notes, furthermore, this is the first Armenian translation of the tragedy Oedipus at Colonus). The introduction not only provides with brief overview on these tragedies but represents Sophocles’ life, specific features of Ancient Greek theater and compositional peculiarities of tragedies.